Making a New Year’s resolution to lose weight isn’t so easy for some people who are morbidly obese. Options for those people include bariatric surgery. Darci Schimp, a Vicksburg High School and Michigan State University graduate, counsels bariatric patients in her work in Bronson Hospital’s Medical and Surgical Weight Management Department. 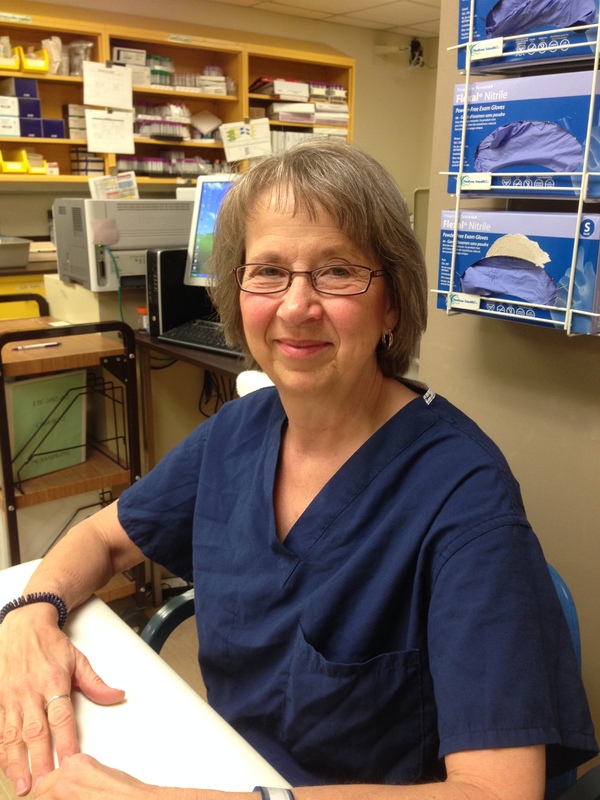 Her work involves teaching, pre and post-surgery, and counseling for life-changing behavior. She works with a team which includes a dietitian, a psychiatrist and the physician. Patients have to be followed and cleared well in advance if they are requesting the surgery. They have to work at exercising although some with severe health issues find it hard to meet the exercise requirement, she says. Still, this is a second chance for some people who have not been able to lose weight any other way, she says, so they have chosen surgery to help battle diabetes, heart disease and other life-threatening weight issues. Many advances have been made so bariatric surgery is less risky. Today there are four types of procedures available. The first is lap band where a cinch is placed around the stomach. A second procedure reduces the size of the top of the stomach; a third option is a bypass where the intestine gets stapled; and, finally, there’s a procedure where 80 percent of the stomach gets removed. Some insurance companies will cover bariatric surgery because they realize their expenses will be less costly ten years later when the patient does not develop diabetes and other life-threatening diseases, Schimp says. “It gives a person a second chance and my job is to make sure they don’t go back to their old eating habits that caused the weight gain in the first place,” she says. Beth Prudden waits for tests being run on her by staff of the Jasper Clinic. Photo courtesy of the Jasper Clinic. Beth Prudden of Schoolcraft says that volunteering for a clinical drug trial had been on her bucket list for a long time. Her husband David had volunteered when he worked at Bronson Methodist Hospital; so had their son Mark, while he was a college student. But Beth’s schedule never permitted it until she retired in 2011. When she saw a newspaper ad from Jasper Clinic, seeking female volunteers for a trial of a breast cancer drug, Prudden went on line for more details. Located on the Bronson Hospital campus in downtown Kalamazoo, the Jasper Clinic, built by The Upjohn Company and Bronson in 1984, conducts human trials of existing medications and potential new medications, as well as medical devices and diagnostic tests, such as glucose monitors. While most of its work is for pharmaceutical companies, the clinic has also done trials for device makers, medical foundations and food companies. Jasper became an independent business in 2003, after separating from Pfizer. The clinic staff, comprised of nurses, lab technicians, pharmacists, a dietician, physicians, recruiters staff coordinators and project managers, is highly trained and very experienced, says Dean Knuth, Jasper’s president and chief executive officer. Some have worked in Kalamazoo research units since the 1970s, when Bronson and The Upjohn Company collaborated to form the Bronson Clinical Investigational Unit (BCIU) by converting one hospital floor across the street from research labs. Prudden learned about her study in the newspaper, but volunteer recruitment for studies also includes social media, radio spots and promotional materials in physicians’ offices. However, “Word of mouth is the best tool,” says Knuth. That’s where the Institutional Review Board (IRB) comes in. The IRB is a panel of experts that reviews every protocol in research units like the Jasper Clinic, to ensure the safety and well-being of volunteers. The US Food and Drug Administration also needs to give permission for any study involving drugs being tested for the first time, says Knuth. After learning the details of the study she was volunteering for, Prudden signed an Informed Consent, indicating that she understood the protocol and what would be happening. Then she underwent a blood draw, submitted a urine specimen, had an electrocardiogram done and was examined by a physician. The next day she got a phone call from the clinic, congratulating her: Everything had come back normal and she qualified for the study. “I was very excited,” says Prudden. Prudden’s protocol consisted of three sets of three overnight stays in the clinic’s 50-bed inpatient unit, each followed by two outpatient visits. Activities are different for each clinical trial, but all have some things in common. Most first-time volunteers are surprised by how regimented schedules are in the clinic, says Knuth. It’s important to the trial that blood draws be done at exactly the minute specified and even meal times and menus may be strictly regulated. Between procedures and meals, volunteers on some trials face long hours of relative inactivity, confined to the clinic. To combat potential boredom, Jasper Clinic has a lounge, with TV, games, cards and a pool table; most volunteers spend those hours reading or web surfing, using either the computers provided on the unit or their own devices. Volunteers in clinical trials are paid, with the amount for each study reviewed and approved by the IRB. The amount of pay depends on the time commitment and the type of procedures conducted. The typical pay for a 24-hour stay is approximately $175, and would-be volunteers can receive up to $40 for completing the health screen, even if they aren’t selected for the study. Money isn’t the only thing that draws people to volunteer, says Knuth. Some people, he says, volunteer for a particular study because they have a friend or family member affected by the disease that a drug could someday treat; others feel pride in contributing to the development of new or improved drugs, or in playing a role in helping decrease the cost of health care. Prudden was impressed by the Jasper staff’s professionalism and gratitude toward its volunteers. “They really look after you to make sure everything’s going well,” she says. She also enjoyed the chance to make new friends, a fact not lost on Knuth. “I’ve been surprised at the number of friendships struck up here by volunteers,” he says. Many of those friends then volunteer together to serve on future studies. Prudden points out one more benefit of volunteering. “It’s an excellent way to get lab work done and monitor your own health,” she says. Prudden has already completed her second clinical trial at Jasper and wants to volunteer for others she qualifies for in the future. Even with 3,500 volunteers in its database, Jasper Clinic is in constant need of new volunteers, says Knuth. Each protocol has specific needs regarding gender, age, weight and other physical characteristics. To learn more about Jasper Clinic or to inquire about volunteering, visit http://www.jasperclinic.com or call the Jasper recruiter at 269-276-8899.